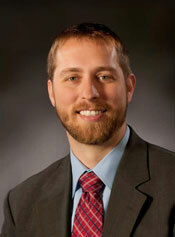 Dr. Stephen Kyle Edwards was born in Utah, and raised in Eastern Oregon. After graduating from Boise State University with a bachelor’s degree in biology, Dr. Edwards attended the University of Connecticut School of Dental Medicine, where he graduated in 2006. Returning to the West Coast as an Active Duty dentist in the US Army at Joint Base Lewis McChord, Dr. Edwards proudly served our service men and women. After completing his service with the Army, Dr. Edwards partnered with Dr. Kathie full time at Shelton Dental Center in April of 2011. They both opened Elma Family Dental in May of 2013. Dr. Edwards has a patient-centered approach to providing state of the art preventative, restorative, and cosmetic dentistry fosters a strong and healthy partnership with his patients. Dr. Edwards and his wife volunteer in local and international dental healthcare programs, providing dental care to underserved adults and children with extensive dental needs. In their free time they enjoy spending time with their two sons, hiking, camping, and sailing.